On October 23th, it took place in Santiago, a new meeting of the chilean research group, Isolated Energy Communities. The minutes of meeting where you can see the audience and the contents are available here. New meeting, workshop 18 May, 2015. Last Monday, May 18th, the chilean research group met in the Hall of the Institute of Advanced Studies (IDEA). In this workshop, they discussed the text “Luces y Sombras para las Comunidades Energéticas Aisladas en Patagonia”. Subsequently, there was a presentation by Ingeborg Mahla about energy systems in the region of Aysen and energy efficiency. The minutes of the meeting coming soon. 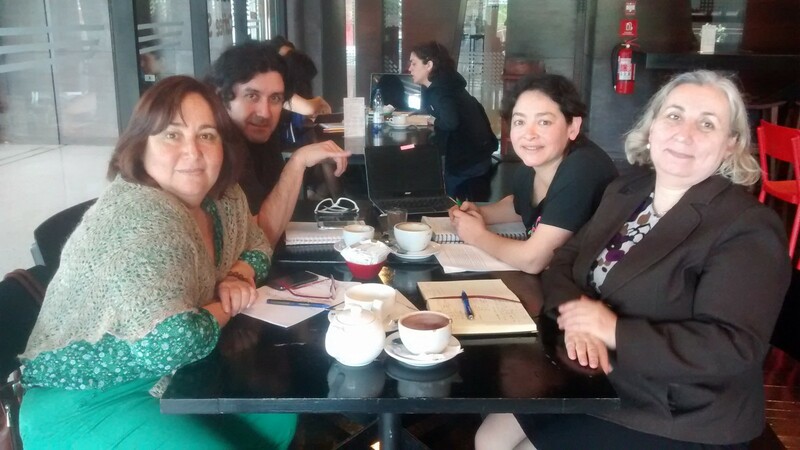 On March 17th, it took place in Santiago, the first meeting of the chilean research group, Isolated Energy Communities. The minutes of meeting where you can see the audience and the contents are available here. 4S/EASST CONFERENCE bcn2016_SCIENCE AND TECHNOLOGY BY OTHER MEANS, Exploring collectives, spaces and futures. Chilean research group visits LEC. Publicación: Cultures of Community Energy. International Case Studies.